When you think about portable video game consoles, you probably think of the Nintendo DS, GameBoy, and other popular Nintendo consoles. This makes sense, as these are some of the most well-known consoles in the space. The 3DS is still the best selling console in many recent months, and with good reason, as it’s a fantastic device. However, do you know about some of the random, obscure consoles that came out back in the day and somewhat recently? Nintendo and Sony were not always the only game in town, it just happens that they are the ones to stick it out through the hard times. 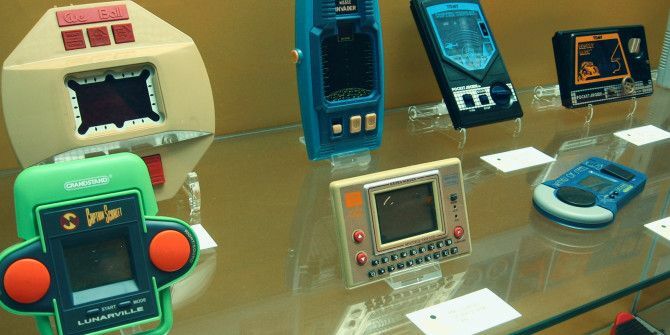 The original GameBoy may have been what truly blew the handheld market, but without some of these lesser-known handhelds, the market may have never exploded in the same way it has today. If you want to grab some cool showpieces for your video game collection, you should seek these odd consoles out. The MicroVision from Milton Bradley released in 1979, long before the GameBoy was even close to hitting the market. It is the first handheld console to feature removable games, which is obviously a staple of today’s video game consoles. 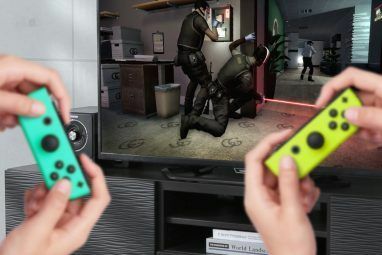 The device was obviously ahead of its time, and it was not exactly what you would call a smash success. The games were obviously basic, but it certainly help pave the way for the handheld gaming market we know and love today. Atari, the company who really brought console gaming to prominence, actually tried to jump into the handheld space shortly after Nintendo released the juggernaut known as GameBoy. From a pure technical standpoint, the Lynx absolutely crushes the GameBoy, with far better graphics and a color LCD screen. In spite of being a technically better device, the Lynx was not a success for Atari. The device was so far ahead of its time with other features a like the ability to link with other players for multiplayer games and an ambidextrous controller layout. The problem with the device was simply that it was too massive, and it just was not portable enough for gamers. TurboExpress was an awesome device that allowed gamers to play their favorite TurboGrafx16 games on the go. From a purely graphical standpoint, it was the best portable console at the time, able to push full 16 bit graphics with ease. Like the Lynx, it also came with a color screen, which should have, in theory, put it ahead of the GameBoy. But as we all know, theories are not always right. The Express has some technical issues, such as the sound in the device failing. Still, it was a fantastic device, and it’s too bad that gamers just didn’t gravitate to it like they did with other consoles. For fans of TurboGrafx games, you should really seek one of these out if you can. Tiger, the company best known for its single-game, black and white handhelds, tried to jump into the traditional handheld gaming market, with almost no success. This device was so far ahead of its time. 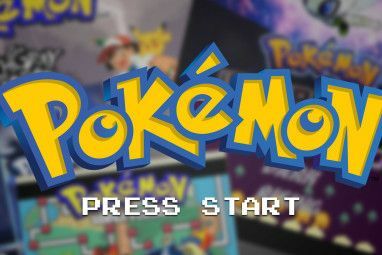 It featured rudimentary Internet connectivity and a touch screen, which was something that was not found in portable gaming consoles way back in 1997. The games were not fantastic, but it’s really hard to believe that a console at this time came with these features. Still, it’s one of those devices that most people didn’t even know existed at the time, and if you can get your hands on one now, it’s certainly worth checking out. In 1999, the WonderSwan looked like it could be the handheld device to take some of the market, at least in Japan. It was actually created by Gunpei Yokoi, the man responsible for the original GameBoy. The device could be played both vertically and horizontally, which was a pretty cool and innovative feature for the time. After the original WonderSwan, Bandai released a color version, aimed at helping the device compete with the Neo Geo Color and GameBoy Color. This device was not an utter failure like some of the others, but it just could not compete with the power of Nintendo. Of course, this console was made specifically for Japan, so most games are not in English, but it’s still a cool piece to own for any collector. For anyone curious about some interesting handheld game consoles, these are some lesser-known ones that are worth a look. Do they feature the best games? No, of course not, but if you want something cool to show your friends, you should definitely seek these out. What handheld consoles do you like to play? Do you own any of these more obscure devices? Hit the comments section below and let us know! 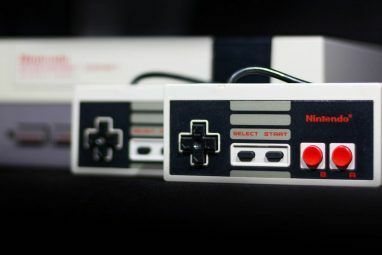 Explore more about: Atari, Nintendo. I didn't thing the Lynx was particularly unknown, certainly less so than a Nomad at any rate. I've heard of three and own one. I had the Lynx II. No idea where it went after moving house several times. Quite a shame seeing for how much these things go on Ebay and Amazon. I had one of the Tapwave zodiacs, which I loved. They just never had a good os(whaddup palm OS). I miss my Neo Geo Pocket. I hadn't thought about that thing for years. Youtube reviewer Ashens has done a review on all of these consoles except for the Lynx.